An Item in Pokemon Go is a virtual object that can be obtained, used, collected and stored in a player's inventory. 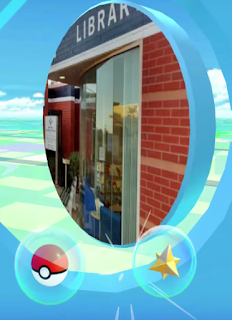 Items can be acquired for free mainly through Pokestops, and for completing in-game achievements such as Leveling Up. Players can also choose to purchase Items for real money in the form of in-app purchases. Pokemon Go Items are broken down into different categories and Tiers. Tier 1 being the least powerful and Tier 5 being the most. Generally lower Tier items can be found/acquired very easily and cost much less than higher Tiered items. 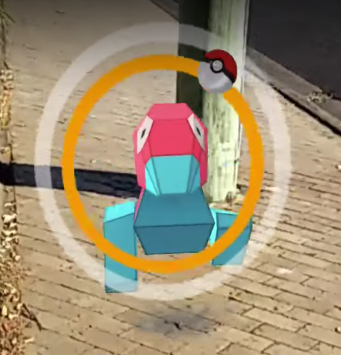 Pokeballs are used to capture and store Pokemon. By visiting Pokestops, players can acquire Pokeballs to store in their inventory. There are four different types and Tiers of Pokeballs in Pokemon Go. These types include the standard Pokeball, Great Ball, Ultra Ball and Master Ball. 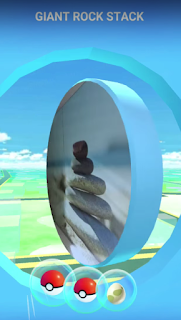 Each Pokeball resides in a different Tier. The higher the Tier, the more powerful the Pokeball. An Egg is an item that can acquired in Pokemon Go. When visiting Pokestops, there is a chance to find an Egg. After acquiring an Egg, a certain distance must be walked before it will hatch. 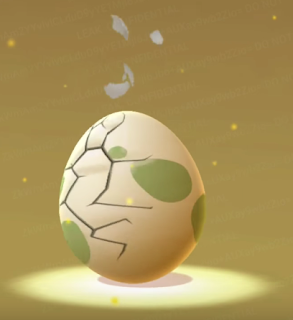 Hatching an Egg will award a player with a new Pokemon and XP. Berries are categorized as Food in Pokemon Go. These include Razz Berry, Bluk Berry, Nanab Berry, Wepar Berry and Pinap Berry. Berries can be used during Wild Pokemon encounters to make a Pokemon easier to capture. In wild encounters, how difficult a Pokemon is to capture is determined by the color of the shrinking circle. A Red circle indicates a very difficult capture, while a Green circle indicates an easy capture. Feeding Berries to Wild Pokemon will help to expand the circle making it more Green and thus an easier capture. Medicine in Pokemon Go is used to restore the HP of weakened Pokemon. Through Gym battles and training, Pokemon will use damage dealing Moves on one another. Players may need to use Potions to restore HP in order to keep their Pokemon from fainting. The different Tiers of Medicine are Potion, Super Potion, Hyper Potion and Max Potion. A standard Potion will restore 25% HP of an injured Pokemon, while a Max Potion will restore all of a Pokemon's HP. However, a Potion cannot be used on a fainted Pokemon (a Pokemon will faint when its HP reaches 0). Max Revive is a medicine that can revive a fainted Pokemon. It will revive the Pokemon and bring it back to Maximum HP. Boosts are used to increase or enhance a Pokemon's stats in battle temporarily. The following boosts in Pokemon Go are below. Note: Honey made an appearance in the Official Pokemon Go Trailer, and may be used as a utility to attract more Pokemon. 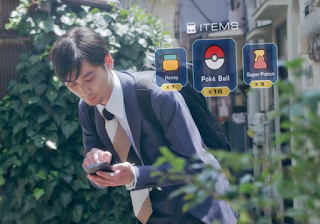 Items can be acquired for free within Pokemon Go, but can also be purchased with real money. Players can choose to purchase bundles or packages to obtain a wide range of items within a single purchase. There are five different Tiers of in-app purchases with three different bundles. Pokeballs, Medicine and Food can be purchased in Small, Standard or Large bundles. The largest bundles will be the most expensive, but will offer the most value. Pokecoins are a Pokemon Go in-game currency that can also be purchased for real money. Pokecoins can be purchased as a Pile, Bag, Sack, Box or Chest. The Chest is the most expensive one-time purchase, but contains the greatest amount of Pokecoins and offers the best value.